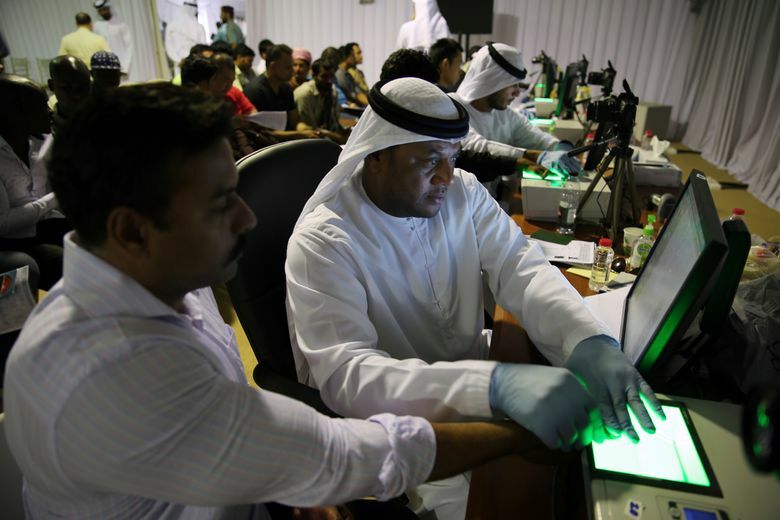 DUBAI, United Arab Emirates (AP) — The United Arab Emirates launched a three-month visa amnesty program Wednesday, hoping to resolve a Catch-22 for foreign workers who are fined daily for overstaying their permits but prevented from leaving until they pay the penalties. The government isn’t releasing specific numbers, but said it expects “thousands” of people, primarily laborers from countries like Bangladesh, Sri Lanka, Pakistan, Nepal and the Philippines, to take advantage of the amnesty through the end of October. “No one will stay at home while there’s a good chance to solve their problems,” predicted Maj. Gen. Mohammed Ahmed Al Marri, the director of Dubai’s office for residency and foreigner affairs. Of the UAE’s estimated population of more than 9 million people, only about 12 percent are Emiratis. As it stands, foreigners who overstay their visas are fined between 25 to 100 dirhams (about $7 to $27) a day, depending on the type of visa, and aren’t allowed to leave the country until the fines are paid. As the fines mount over months and years, their prospects of payment become slimmer and slimmer, leaving them in limbo. 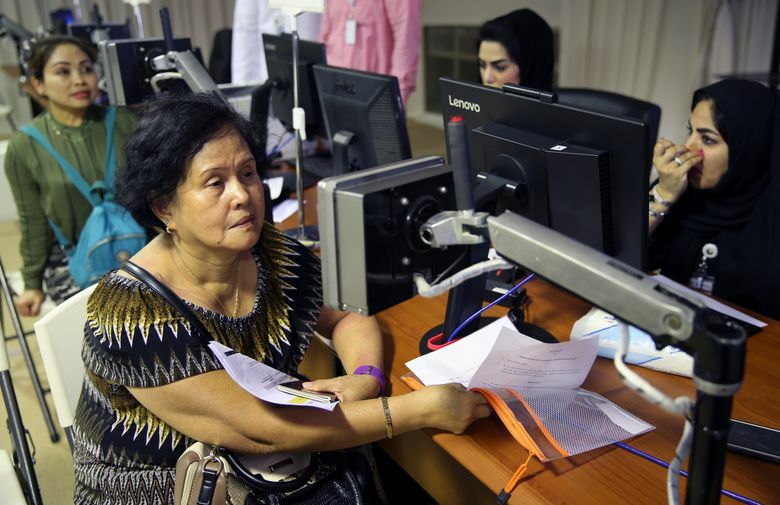 “Imagine if you’re paying, like, 50,000 dirhams for the fine, that’s a lot of money,” Nicholas Tolentino, who plans on returning to his native Philippines, said as his paperwork was being processed. He said before the amnesty, those stuck were often forced to take illegal jobs. “It’s a very risky move,” he said. In Dubai, officials have said more than 25,000 people overstayed their residency visas in 2017 alone. Centers were set up around the country to process applicants, with consular officials from many countries also on hand to help deal with passport and other issues. The Philippines, for example, was reimbursing its citizens for the nominal fees charged for exit visas and other services. Hundreds showed up at two massive air-conditioned tents set up on the outskirts of Dubai for the first day of the program. It’s the fifth general amnesty since 1996, and more than 60,000 people took advantage of the last one, in 2013. 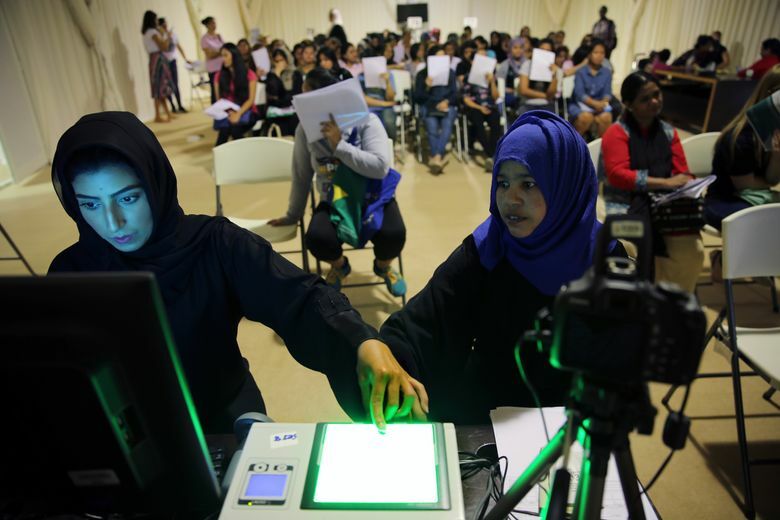 Under the program, all fines for overstaying visas will be forgiven and people will be allowed to return to the UAE with new visas without preconditions, unlike in previous amnesties — a nod to the country’s need for foreign workers. People this time can also get six-month temporary visas to stay in the country and look for work. Foreigners from war-torn countries such as Syria and Yemen can qualify for a one-year residence visa without restrictions. “It’s a gift from the government of the UAE as a humanitarian gesture,” Al Marri said. Nawal Karam, a mother of two from Morocco, lost the ability to sponsor her children’s residence due to a “paperwork” issue after she moved and said they weren’t even able to attend school. “If you don’t have residency, your kids won’t even be able to study or get health care,” she said. She said she was taking advantage of the amnesty to stay in the UAE while sending her children back to Morocco to resume school. Associated Press writer Malak Harb contributed.